Last edited by veloduffer; 07-29-2016 at 08:31 AM. 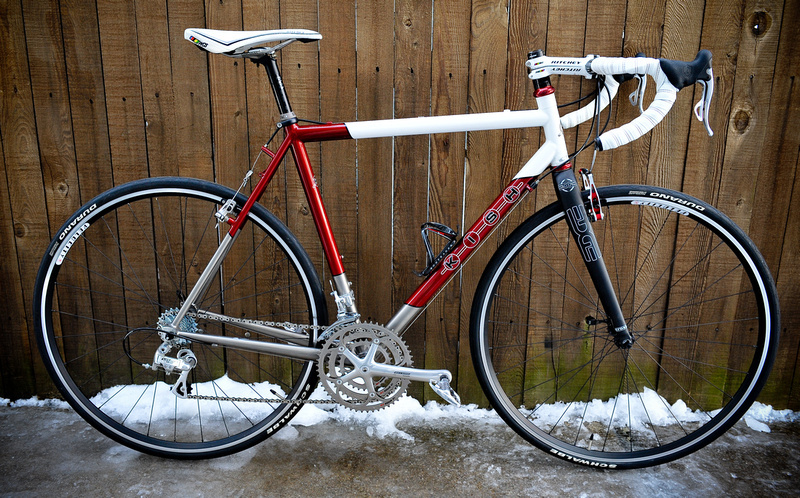 1) Seven mudhoney for the development team, custom geo, custom paint with decals that were only offered to the team. 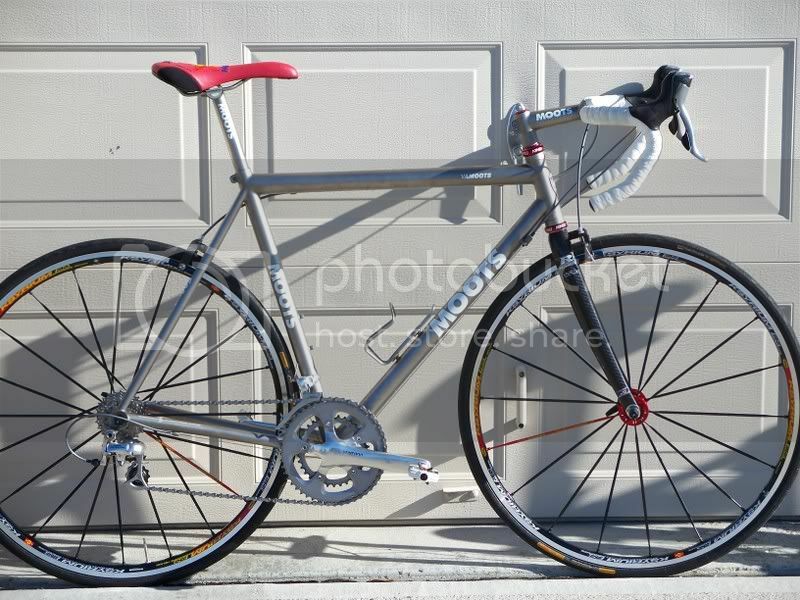 Sold it after the first season b/c I also had a speedvagen cross...terrible decision; I'd buy it back in a heartbeat if I could. 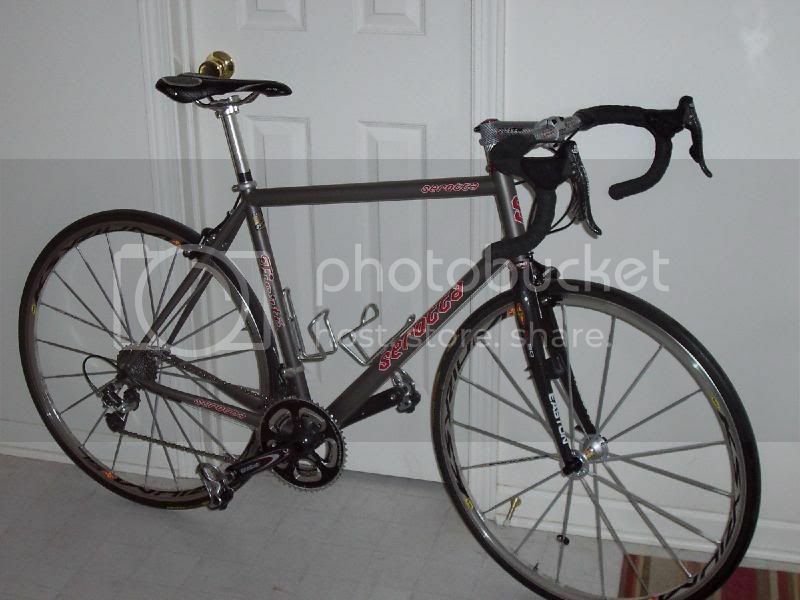 2) Current team bike--axiom S, straight guage Ti, BB30, full custom. 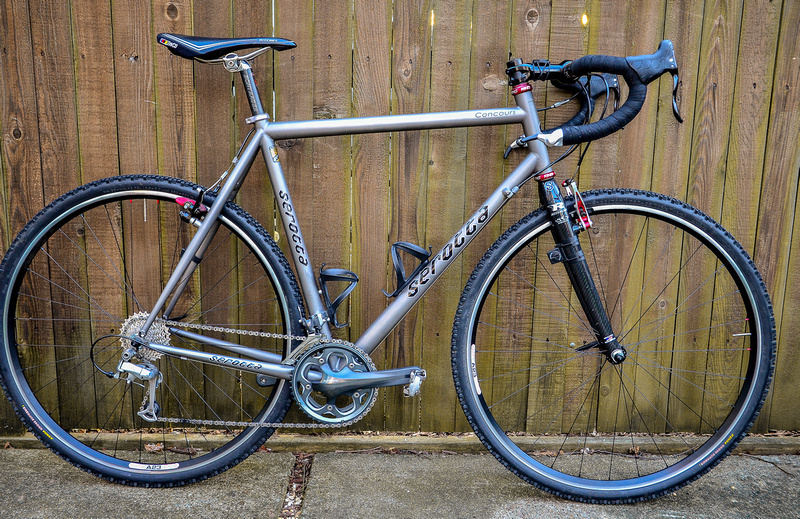 Stiffest Ti bike that I've owned in terms of responsiveness from the drivetrain. Seven are masters of Ti. 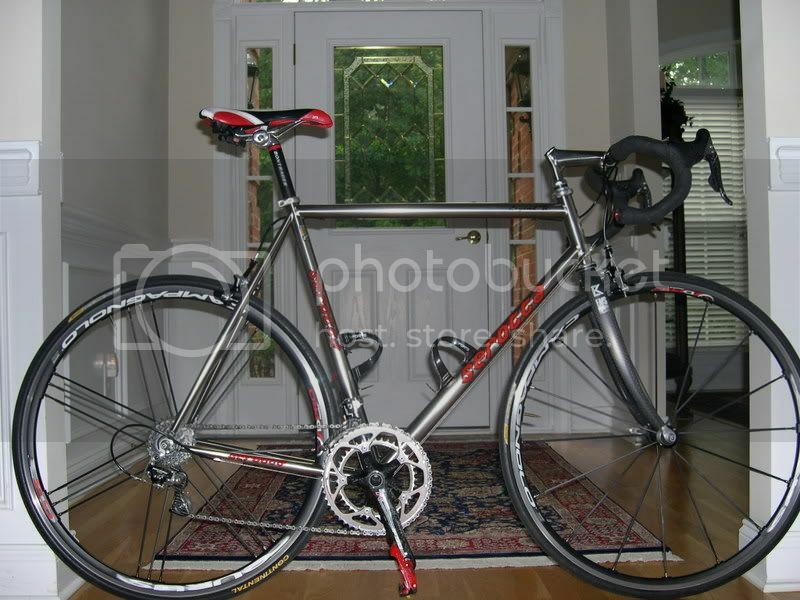 On par with Serotta IMO. Last edited by jamesutiopia; 06-03-2011 at 08:38 PM. 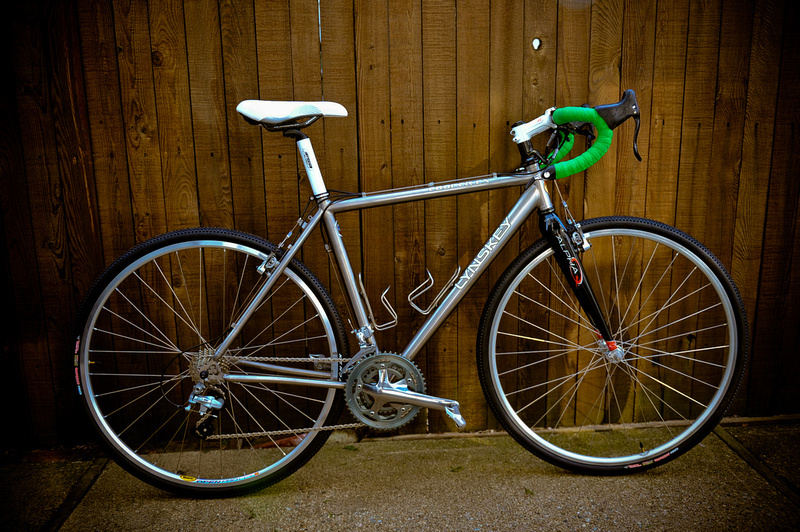 Moots made Hampsten Strada Bianca Ti. Also have a Merlin Agilis, but don't have any pics of that to post. Mr. President, I like your Ti bikes... I'm peculiarly drawn to ones with green fork. 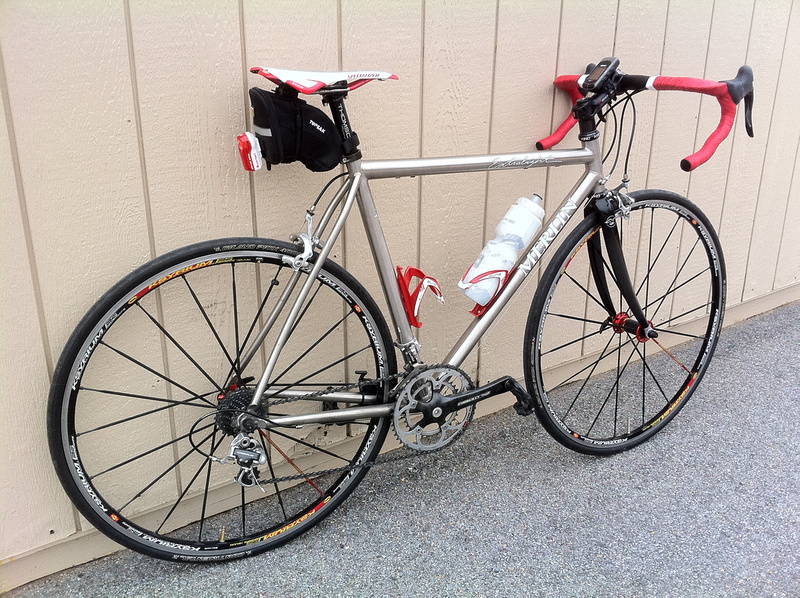 Well, the Ti hardtail is my best pal Darren's. The Tungsten Electrode came with it. I would love to change it to a fox, but right now not terribly important to me. Just getting used to full suspension. So you know. 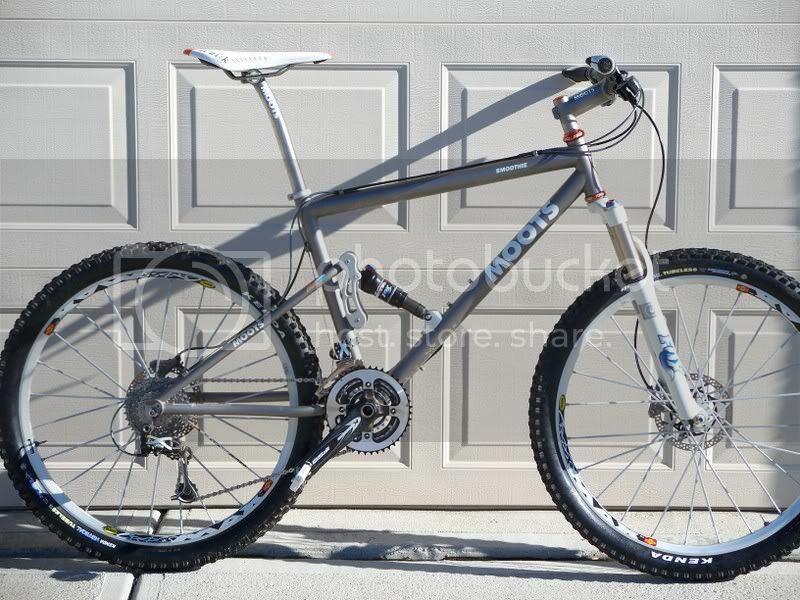 Still think the Moots smoothie was a killer bike! I started this tread with a Merlin and here's a Seven I just rebuilt. I almost did something really dumb and almost sold the Seven,man am I glad I didn't. What is it worth if I wanted to sell?? My god that never gets old! Makes me smile for all the right reasons. 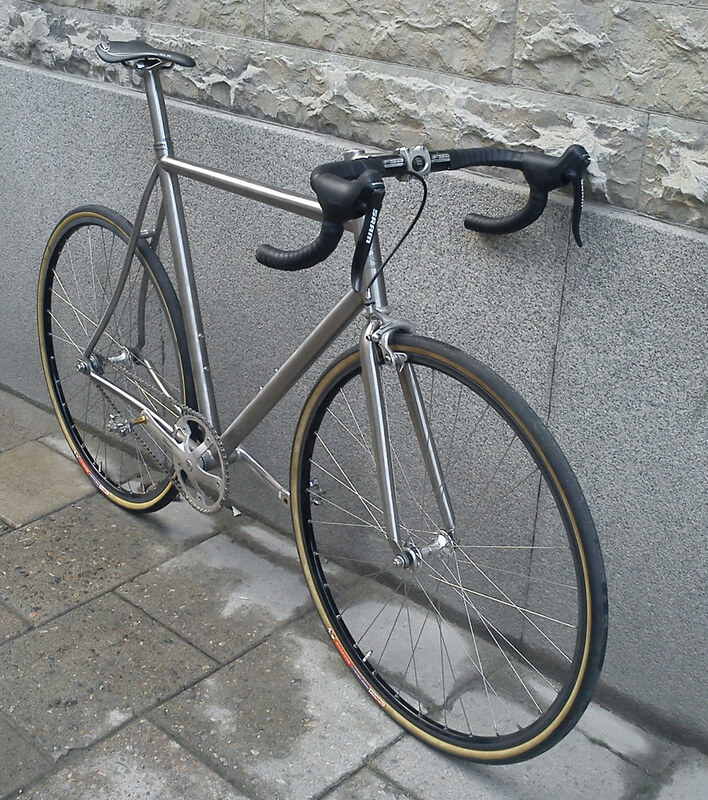 God I miss Moots.